Just dropping in to share this card that I created with Simon Says Stamp's sweet Sail Away stamp set. So very simple - I just stamped the starfish on patterned paper, added Rock Candy Distress Stickles and cut them out. I adhered them to the card stock in the centre only, so that they curled up a little. I love the texture that Rock Candy stickler give… Oh, and did you know all Ranger products are currently 25% off at Simon Says Stamp - just add the code RASALE at the checkout. That's all for today. I'm preparing for a release of new Shaker Selection colours in the next few days. I hope to see you then. :) Any colours you're hoping to see??? In this photo, the added Rock Candy Distress Glitter, does look like sand on the starfish. Cute! This is fun! Great card! I always love to be at the beach, and then I am looking around for shells and seastars! Very sweet. 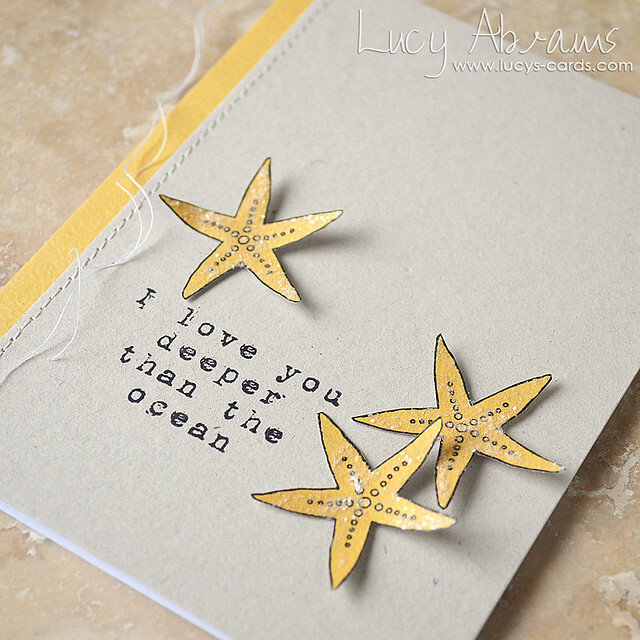 Love those starfish, the stickles really DID add a lot of texture. More mixes...me and my wallet are ready. Fabulous! 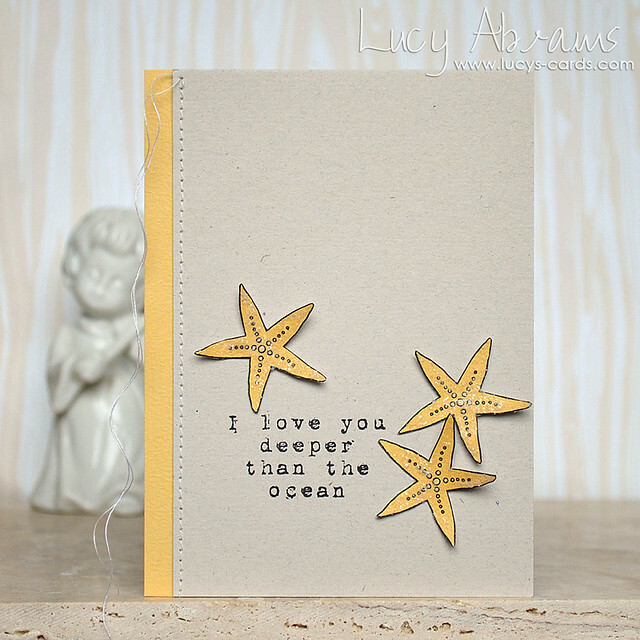 Love the CAS layout and the rock candy distress glitter on the starfish! !